Equine Nutrition is a vast subject and can be very confusing! There are an array of different feeds on the market as well as many different views as to what is right and wrong. For the barefoot horse nutrition is key to growing a sound, good hoof and for the healthy body and digestive system that is essential for any equine. Horses have evolved to be virtually continually on the move, foraging little and often on poor quality fibre based grazing. In captivity, horses are often given ''sweet'' feed - high in sugar, starch, additives, preservatives, chemicals and food waste products, as well as being provided with a pasture that is far too lush and often chemically treated for their digestive systems to stay healthy. Horses cannot fully digest the types of carbohydrates that are found in these sweet feeds, so the carbs pass directly through to the hind gut, where they ferment into lactic acid. It is believed that if there is too much acid present in the small intestine then the enzyme process does not funtion properly. A high sugar/starch feed and/or lush pasture disrupts insulin levels and blood sugar levels, often resulting in laminitis, insulin resistancy, colic, ulcers, full blown founder, weak hooves and lamness - to name but a few! In my experience as a barefoot trimmer, there are a few things that we as owners can do to help our horses - and their hooves - become healthier again. Molassed anything - this introduces too much sugar. If you look at the back of the feed bag before you buy it, almost all feeds are molassed - avoid these! Be aware - MOST OF THE FEEDS THAT ARE RECOMMENDED FOR LAMINITICS ARE STILL MOLASSED. Even most of the licks on the market are molassed. Usually if a feed is mollased it also has a mould inhibitor to raise the shelf life - this mould inhibitor also kills off gut flora. The Lucerne family. This includes alfa, soy, peas and clover. The Lucerne family do not occur in any large quantities naturally in a horses diet, and are far too rich as a feedstuff. A very healthy horse can probably tolerate a small quantity of legume, but if your horse has health issues it is a risk. Alfa is one of the best sources of calcium, but it is so rich in calcium that it can overload the body with calcium and may hinder the absorption of phosphorus, zinc and other essential minerals. These minerals are vital for a healthy body - and hoof! Pea does not occur naturally in a horses diet, and a free roaming horse would never access the amounts of clover that occurs in some of our pastures. Chemicals, preservatives, additives, mould inhbitors. For the same reason that they are not good for us, they are not good for your horse. Some preservatives put into feeds are also thyroid inhibitors - so if you have a fat horse, he/she is probably going to get even fatter! Mould inhibitors are antimicrobial - i.e they kill microbes - so what happens when they are ingested by the horse? They kill off gut flora. Oatfeed and Wheatfeed. These are both waste by products, and are just the husks of the oat or wheat kernels that have been ground up. The husk contains the highest concentration of chemicals, as this is where the chemical sits when the crop is sprayed. Sugarbeet. Though crop companies have tried in the past, this crop just cannot be grown organically and is decimated by pests. It is sprayed with chemicals numerous times before harvest. Horsehage/Haylage - there are micotoxin concerns with this type of forage. Haylage is also a less healthy choice for encouraging good digestive bacteria, but often great at encouraging the bad bacteria. It is not always possible to avoid if hay is very scarce, but consider giving a detoxification if you have to feed it. The ''wetter'' and more pungent smelling the haylage is the worse it will be for your horses digestive health. Soy - It is becoming increasingly clear through research that GMO soy (and indeed other GMo foods) have serious negative effects on health. It is also a highly toxic crop due to the amount of herbicides and pesticides used in production. A good vitamin and mineral supplement. Avoid the supplements that are molassed and have waste product (such as oatfeed and wheatfeed), derivatives of cerals or additives in them. Chelation makes the minerals more bio available. Avoid feeds that state ''vitamin / mineral premix'' as these are a lesser quality, bulk produced. 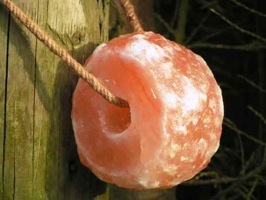 Non molassed vitamin and mineral licks are a good option to put in the field or paddock, allowing the horse to ''self medicate'' - have a look at the Redmond Rock Lick and Himalayan salt lick. 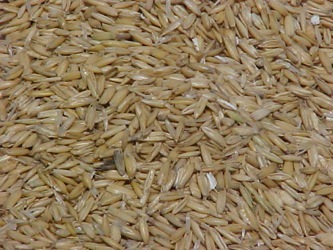 Organic Oats - they have a 90% starch digestibility compared to around 30% starch digestibility of other cereals (i.e other cereals require far more stomach acid to be broken down) Whole oats are preferable to crushed or rolled, as there is a good nutritional fat and fibre value in the husk as well. Oats have a good oil content (7%) and are usually highly appreciated by the horse! Keep the oats to max 400/500g per day, as it is believed that any more may effect the PH balance in the gut. If your horse is a laminitic/chronic laminitic feeding oats would probably not be suitable. Good mixedmeadow hay. Some hay producers will spray their hay with nitrate fertilisers - avoid these. Clean water. It may be of interest to check/test your water to know what you have - most of us don't! As part of your trim and consultation I will give you specific recommendations and advice on what is helpful options to feed your horse - so we can work WITH him in recovering his beautiful healthy feet - not against! When we feed a supplement we tend to mix it into the horses feed, and he eats it by default. Start putting the supplement in a bowl on its own, and see if your horse eats it. If he shows no interest, he does not need the supplement at that time. If you try again a few days later, your horse may lick the bowl clean. Allowing your horse to use his natural, inbuilt self selection skills can usually save you alot of money! Hedgerows, verges and country lanes are all good places to hunt for herbs, shrubs, plants and trees that are beneficial to your horse. If your horse has an opportunity to pick at foilage whilst walking to and from his turnout - you may be surprised at what he chooses, and it can even help you understand more about what your horse requires. For example, it is believed Meadowsweet has anti inflammatory properties and Comfrey encourages healing of bone and tissue. The book ''Feeding Herbs to Horses'' by Wendy and Terry Jennings is a good reference when identifying plants and herbs with beneficial properties. Avoid hedgerow grazing if it has been sprayed with chemicals/weed killers/fertilisers. Have you heard of applied Zoopharmacognosy? Have a look at www.ingraham.co.uk and the book ''How Animals Heal Themselves" by Caroline Ingraham. Green grass pasture like we have in the UK is something that causes our horses problems. The type of grazing we have in the UK is not part of the equines evolutionary habitat. Without us realising it, our horses may be walking around with low grade laminitis, metabolic and digestive problems. In its natural Equus Caballus lives on very nutritionally poor yet bulky fibrous plants whilst on the move, and what is provided for our captive equines is usually far to lush, and far too easily accessible. Excessive grass creates a build up of problems in the horses system - leading on to laminitis, hoof problems, colic etc. Pastures are even worse when they have been sprayed with chemicals - or even when chemicals have blown over from fields nearby. In the last few decades the increased use of Nitrate based fertilizers have made some grazing virtually toxic for horses. Nitrates will stay in the ground and crop for more than a decade - causing serious gut damage and long term health issues for equines. Jaime Jacksons Paddock Paradise concept is an ideal solution for our captive horses. It allows them to live in an environment that mimics as close as possible the environment horses have evolved to live in. It encourages them to work for their food whilst stimulating body and mind and increasing overall health. The more behaviour driven movement the horse gets, the healthier your horse will be. Stressed/overgrazed grass can be the worst of all but often looks the least rich.